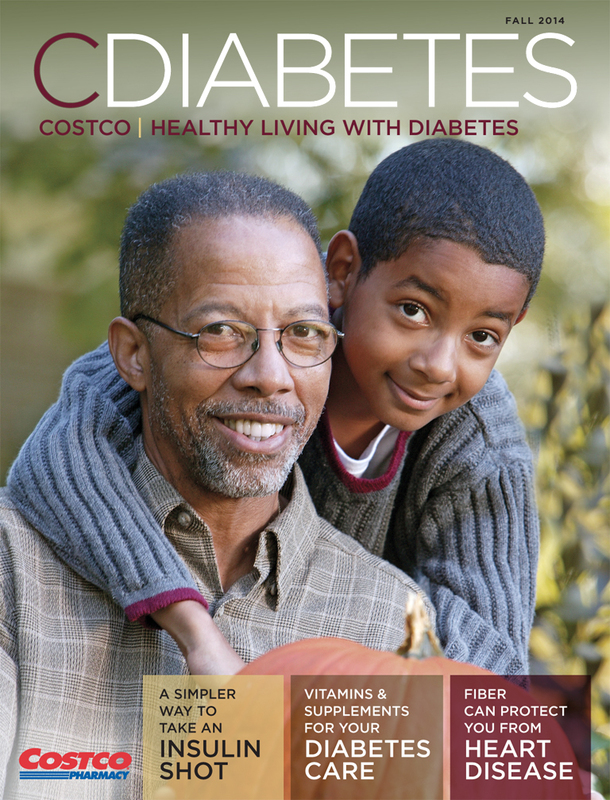 Welcome to the Fall 2014 Edition of “Costco: Healthy Living with Diabetes”. Fall is the time of year for people with diabetes to get their flu shots, which Costco offers at a low cost to its members. Our immunization-certified Costco pharmacists give flu shots Monday through Saturday for less than $15. Simply stop by the pharmacy counter on your next Costco outing. In this issue, we feature great articles on diabetes care and nutrition. “An Easy Way To Take An Insulin Shot” will walk you through the benefits of using an insulin pen over a syringe. And, our article on fiber outlines some great reasons to reach for 38 to 50 grams each day. If you have any questions about the articles in this issue, or any other health concerns, please speak with your healthcare provider or your Costco pharmacist. Have a great Fall season and, as always, thanks for shopping at Costco Pharmacy.